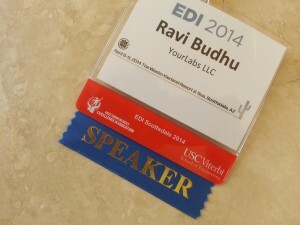 YourLabs had the honor of being a speaker at the 2014 Engineering Dean’s Institute. YourLabs was part of a panel of 3 other passionate professors and university presidents to speak about disruptive paradigms in education. More details later.